You won’t be using it for your morning commute, but the dream of private ownership of a flying car is within our grasp. If you’ve dreamed of having a flying car to call your own, then there’s good news and bad news. The good news is that Slovakian tech company AeroMobil has opened preorders for a sleek and stylish aerial automobile. The bad news is that it costs $1.3 million, requires a pilot's license to operate and a runway to lift off, is only certified to fly in Europe, and probably will never be legal to use as anything but an ordinary car or an ordinary plane. The white-and-yellow AeroMobil weighs only 1,300 pounds due to its carbon fiber build and can carry two passengers. It has a top speed of 99 miles per hour on the ground and has a driving range of 62 miles. But spend three minutes transforming it into flight mode, and it suddenly has a cruising range of 466 miles instead. 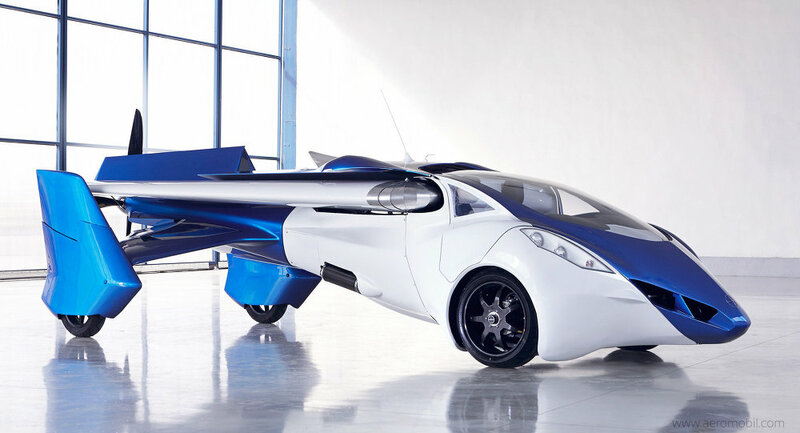 So it's not exactly a flying car, but more of a car that can transform into a small personal plane. If you own, for instance, a huge farm in the middle of nowhere, then feel free to build a runway (unless you already have one, of course) and take your AeroMobil for a spin. But if you're a city mouse, even if you managed to find a runway, you'd almost certainly be violating someone's airspace or zoning laws to try to use it for your morning commute. "I think it's going to be a very niche product," said Philip Mawby, professor of electronic engineering and head of research at the University of Warwick to AP. "The technology is there … The question is bringing it to the market at an affordable cost and making it a useful product." The infrastructure and nature of today's society simply doesn't leave much space for flying cars, unfortunately. For now, those of you flush with cash can buy an AeroMobil and simply "use it as a regular car," according to CEO Juraj Vaculik. AeroMobil demonstrated their 3.0 prototype in Vienna in 2014. Less than a year later, a 3.0 prototype malfunctioned and crashed, slightly wounding its test pilot., which boasts a top speed of 300 miles per hour, is based off the same X2 design as the Raider.